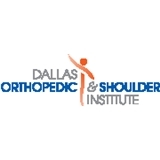 Dallas Orthopedic & Shoulder Institute (Sunnyvale) - Book Appointment Online! Proudly Serving Dallas, Texas Metroplex! At Dallas Orthopedic and Shoulder Institute we’re committed to providing the very best orthopedic and shoulder care. We want you to feel at ease knowing you’ll receive the highest quality orthopedic care in a compassionate, friendly, personal manner. We address disorders that affect the bones, joints, cartilage, muscles, ligaments and tendons, from the evaluation and management of degenerative diseases like arthritis to fracture care and complex joint replacement surgery. Our services are wide-ranging, yet individualized to your needs and goals. We take time to answer questions and review all treatment options with you. Painful injuries and chronic problems can hinder your ability to perform ordinary tasks. We are continually focusing on the best way to relieve your pain and restore your mobility and strength quickly and safely.